What is a Business Strategy? 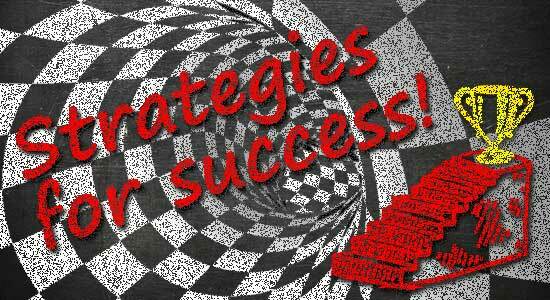 Well a business strategy is basically a strategy designed to achieve your businesses goals and objectives. Typically a Business Strategy is designed to achieve long-term business goals and objectives. Normally a business strategy will cover a period of around 3-5 years (sometimes even longer). DLM Marketing can research and provide your business with a distinctive strategy and unique formula for success which will form the foundation of your business plan as well as governing you daily procedures. A Business strategy should not be your businesses definition or summary of your target market. It should be an explanation of the one or two key factors that separates your business from your competition. Purchasing new assets or developing new products to increase your businesses market share. Expanding your business world wide – you may even consider sourcing or having products manufactures from other countries. This involves cutting back to focus on your best products or services and concentrating on what you do best. Competitive strategies are very important. Competitive strategies are concerned with doing things better or different than your competitors. To be truly competitive you need to offer a product or service that is unique and difficult to replicate. There are many ways of being competitive and differentiating your company from your competition. Pricing – If you have the ability to produce similar products to your competitors cheaper you can sell them at a more competitive price. This is possible when a company is the market leader and benefits from economies of scale.